The Best Price for your iPhone. In Cash. Guaranteed. We think cash is pretty awesome. What s more awesome than cash? A best price guarantee for your old iPhone. Between now and September 9, 2015, get the guaranteed best price* for your iPhone 5S, iPhone 6 or iPhone 6 Plus from Gazelle. 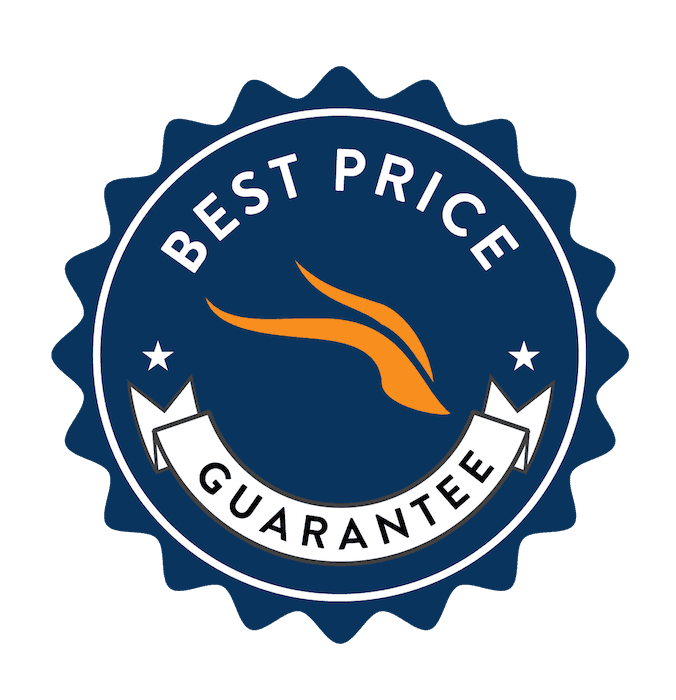 What is Gazelle s Best Price Guarantee? Gazelle will offer at least $1 more than your carrier for the trade-in value of your iPhone 5S, 6 or 6 Plus. If you find a better offer than Gazelle s at your carrier or Apple, let us know and we'll offer you at least $1 more in cash. Remember, in order to get the Best Price Guarantee your carrier must be either AT&T, Verizon, T-Mobile or Sprint. Please keep in mind that we're only guaranteeing the trade-in value of your phone. Some carriers will bundle payment of early termination fees and other incentives along with the trade-in value. Read the fine print to determine what the actual trade-in value is. We'll only be guaranteeing the trade-in value of your carrier s offer. Are you guaranteeing any price for my phone? No, we're only guaranteeing that we'll beat the price you'll get at your carrier or Apple. Meaning, if you have an AT&T iPhone, we'll make sure you get a price better than AT&T is offering. If you have an AT&T iPhone, but you can get a better price at T-Mobile, we will not be guaranteeing that price. We also will not be guaranteeing against prices from online competitors such as CashforiPhones.com, Amazon.com, Nextworth.com or others. This offer is only valid for prices at AT&T, Sprint, T-Mobile and Verizon or Apple. What devices are eligible for Gazelle's Best Price Guarantee? Gazelle is guaranteeing the best prices for all colors, capacities and models of the iPhone 5S, iPhone 6 and iPhone 6 Plus families of devices. We're currently planning to guarantee prices through September 9, 2015, but reserve the right to end the promotion at any time for any reason. What do I do if I find a better price somewhere else? If you have a better price advertised by your carrier, please submit proof to customercare@gazelle.com. You should also provide your Gazelle transaction ID. You must have already created an order with Gazelle before we can adjust it to the advertised price you re providing. We'll need your iPhone model and a copy of the advertised price from your carrier. We must have proof of a higher advertised price from your carrier. We may also need additional information to verify pricing. *Offer only valid on iPhone 5S, iPhone 6 and iPhone 6 Plus through September 9, 2015. Gazelle will guarantee that they will offer at least $1 more than your carrier (AT&T, Verizon, T-Mobile or Sprint or Apple only) for that model device. Gazelle will guarantee the trade-in value only and no other offers or promotions that carriers may bundle with that offer. From September 2, 2015 through September 9, 2015 (the Promotion Period ), ecoATM, LLC ( Gazelle ) will offer at least $1.00 more than the price offered by Apple, Inc. s trade-in program ( Apple Program ) or your Major Carrier during the Promotion Period for the trade-in value of your iPhone 5S, 6 or 6 Plus (the Best Price Offer ). A Major Carrier is AT&T, Verizon, T-Mobile or Sprint. You are not entitled to a Best Price Offer unless either Apple or your Major Carrier offers a higher price to you for your iPhone 5S, 6 or 6 Plus than Gazelle during the Promotion Period. For example, if you are a T-Mobile customer and T-Mobile offers a higher trade-in price for an iPhone 6 for AT&T customers who switch to T-Mobile, the Best Price Offer is not available to you. Device must be in working condition, defined by Gazelle as "Good" or "Flawless." Notwithstanding the foregoing, Gazelle reserves the right to terminate the Best Price Offer promotion at any time prior to the end of the Promotion Period with or without notice to you and for any reason.